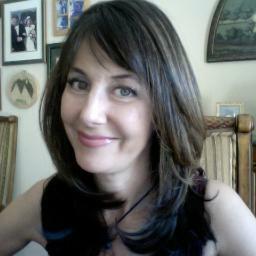 Photo: Jenise Fryatt, creator of #ContentChat. Photo via Twitter. A popular Twitter chat on content marketing, #ContentChat takes place every Monday at 12pm PT (3pm ET and 9pm CET). Jenise Fryatt (@JeniseFryatt) is the creator of #ContentChat. I interviewed Jenise get the story behind this popular Twitter chat. Here's the interview. Q: Hi, Jenise. Give us some background on #ContentChat: when is it, what led you to create the chat and how long has it been running? A: #ContentChat is a Twitter chat sponsored by Smarter Shift content marketing. As the social media strategist for Smarter Shift, I began the chat in January 2013 as a way to build a community around the topics we want to be involved in. Image: B2B brands (such as @Hoovers) have been regular participants in the weekly #ContentChat. Q: For users who participate in #ContentChat, what are their objectives? Q: Give us your top 3 chats over the past 12 months? The topic of "online communities" was very big. We did two back-to-back chats on different aspects of engaging online communities with content. Both were very well attended, so I couldn't pick just one. Side note: learn more about DNN's online community solution, Evoq Social. Q: Have you noticed any patterns in topics: are some receiving more engagement than others? A: In general, the broader the topic, the more people seem to participate. But that's not to say that when we narrow it down to something very specific they aren't lurking. I just don't have any evidence of it, of course. Image: social media is a hot topic on #ContentChat. The team at @Onboardly are regular participants. That being said, I think there is always a LOT of engagement around the topic of social media. Everyone has tips, tools and blog posts to share on that one. Q: Why is content marketing so hot right now? A: If your product or service can't be found online, it might as well be invisible these days. And thanks to Google, content marketing is the best way to be found online. To be more specific, Google, the most popular search engine by far, has refined its algorithm to favor fresh, quality content. "If your product or service can't be found online, it might as well be invisible these days." So websites that regularly post new content, that meets the needs and expectations of those using Google to search the Internet, generally appear near the top of Internet search results. This high "search ranking" confers credibility and greatly improves the chances of a site receiving online traffic. Content marketing is a marketing strategy that is all about creating this fresh, quality content and using social media to build community and connections that help you to promote it. Q: What tips do you have on promoting Twitter chats (ahead of time) and sharing summaries (afterwards)? A: Be consistent. Establish a regular time and day when most of your audience is available and then make sure to be there. Create a chat calendar in advance that features topics your audience is interested in. Book niche thought leaders as guests ahead of time. This ensures you are always bringing new knowledge and personalities to the chat. Once you book the guest, establish a routine where you agree on the questions and you get basic information that you can create a promotional blog post with. Publish your blog post promoting your upcoming chat as soon as possible after the previous chat. Make sure to post tweets and other social media posts about the upcoming chat with a link to your promo. Create a chat summary and post it on your blog within a couple of days after your chat. You may want to use a tool such as Storify, which allows you to embed rich media into your chat. You can also embed your Storify right onto your blog if you use Wordpress and the Storify plugin. Share your chat summary blog post several times on Twitter and on other social media sites. Q: What tool do you use to host/moderate the chat? A: I've tried a few and I haven't found anything better than Tweet Chat. It highlights questions, always includes your chat hashtag, allows you to block obnoxious tweeters, and works relatively quickly. Q: For someone looking to launch a new Twitter chat, what’s the one thing they must not forget? A: Well, I have two things. First, create a warm, inviting environment that welcomes newbies. Next, give it enough time to catch on. It's easy to get discouraged when hardly anyone shows up to your chat. But hang in there. Make sure you are welcoming people, promoting it well and doing it consistently for at least a few months to really give it the best shot you can. Q: Tell us a bit about yourself, along with Smarter Shift? A: I'm a passionate content marketer and social media strategist for Smarter Shift, a company with whom I'm extremely proud to be associated. Smarter Shift takes pride in creating quality content and content marketing strategy for clients. The company is also very focused on helping sustainability-minded organizations.